A leading scientist-theologian argues that environmental policies are inseparable from questions of social justice both within industrial nations and globally among nations—and ­­suggests how the biblical tradition might make a contribution toward a more sustainable world. Human beings are related to nature not as isolated individuals but as members of social institutions that have far-reaching impacts on the environment. The environmental crisis raises questions about sustainability, patterns of consumption, and population growth. Degraded land, eroded soil, and decimated fisheries and forests will take many decades to recover. We are living off biological capital, not biological income. Many of the impacts of our technologies will be felt by future generations. Radioactive wastes from today’s nuclear power plants will endanger anyone exposed to them 10,000 years from now. The world of politics, however, takes a very short-term view. Political leaders find it difficult to look beyond the next election. 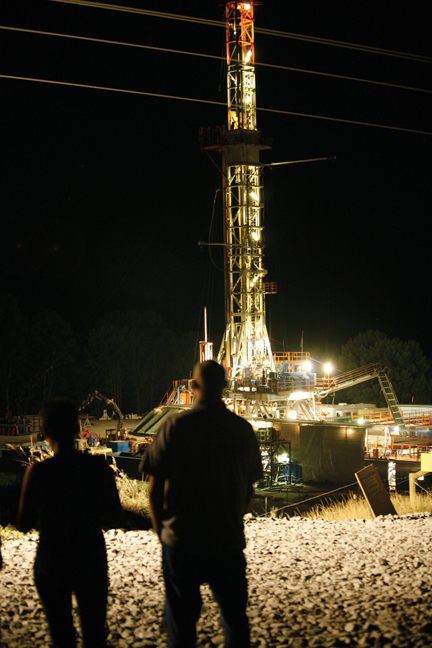 The main concern of business and industry is this year’s bottom line. Economic calculations give little weight to long-term consequences because a time discount is applied to future costs and benefits. The biblical tradition, by contrast, takes a long-term view. Stewardship requires consideration of the future because God’s purposes include the future. The Bible speaks of a covenant from generation to generation “to you and your descendants forever.” The land, in particular, is to be held as a trust for future generations. This long time-perspective derives from a sense of history and ongoing family and social life as well as accountability to a God who spans the generations. So it is not surprising that sustainability has been a major theme in statements of the World Council of Churches, several Protestant denominations, and the U.S. Conference of Catholic Bishops. A long-term view is also common among scientists, especially those who are familiar with the long sweep of cosmic and evolutionary history. Ecologists study populations over many generations and are keenly aware that population growth puts increasing strains on ecosystems and jeopardizes the welfare of future generations. Both the scientific and the religious communities at their best have advocated a global perspective. Science itself is international. Scientific meetings and journals ignore national boundaries. 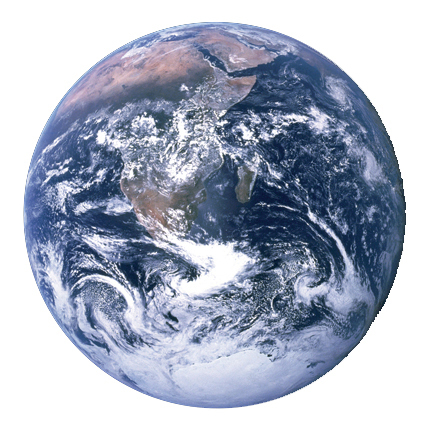 Scientists have a global viewpoint on environmental and resource problems. They recognize that impacts on the environment at one point have far-reaching repercussions at distant points. Chlorofluorocarbons released in repairing an air-conditioner in Boston will contribute to the depletion of ozone and the risk of skin cancer in Berlin or Bangkok. 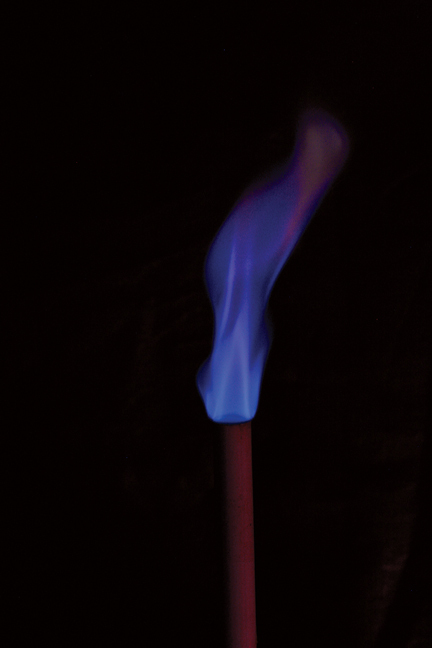 Scientists have insisted that an adequate response to global warming can be achieved only by international agreement on the reduction of greenhouse emissions. They have been aware of the destructiveness of nuclear war and have been prominent in the arms control and peace movements and in supporting the United Nations (U.N.). However, we must acknowledge that scientists are subject to the same nationalistic viewpoints as other citizens, and many applied scientists have been working directly or indirectly on military projects. Our religious traditions have also held up a vision of world community, though they have too often succumbed themselves to intolerance and religious imperialism. The biblical writers affirm our common humanity and assert that we have been made “one people to dwell on the face of the earth.” The religious communities of the United States have been active in working for peace and for support of the U.N. They have organized famine relief and lobbied for foreign aid and agricultural and technical assistance. Most religious groups have been urging a reduction in military expenditures and have criticized reliance on nuclear weapons. Religious leaders can join scientists in asserting that future threats to the nation’s security are likely to be economic and environmental as well as military. The World Council of Churches has insisted that our response to these threats must be global and international rather than narrowly national. Conservation policies in industrial nations would of course contribute substantially to a more just and sustainable world. Greater efficiency, waste recovery, and cleaner technologies can cut down on both pollution and resource use. But I believe we must go be-yond efficiency and look at our patterns of consumption. By the age of 20, the average American has already seen 350,000 television commercials. The mass media hold before us the images of a high-consumption lifestyle. Self-worth and happiness are identified with consumer products. Our culture encourages us to try to fill all our psychological needs through consumption. Consumerism is addictive, and like all addictions it involves the denial of its consequences. Yet several studies have shown that there is very little correlation between happiness and income or wealth, whereas happiness does have a high correlation with marriage relationships, family life, work satisfaction, friendship, and community involvement. The Christian tradition offers a vision of the good life that is less resource consumptive than prevailing practices. It holds that, once basic needs are met, true fulfillment is found in spiritual growth, personal relationships, and community life. This path is life-affirming, not life-denying. Religious faith speaks to the crisis of meaning that underlies compulsive consumerism. We should seek a level of sufficiency that is neither ever-growing consumption nor joyless asceticism. A vision of positive possibilities and an alternative image of the good life are likely to be more effective than moral exhortation in helping people to turn in new directions. For most people in our nation, restraint in consumption is indeed compatible with personal fulfillment. We can try to recover the Puritan virtues of frugality and simplicity, both in individual lifestyles and in national policies. For the Third World, of course, and for low-income families in industrial nations, levels of consumption must rise substantially if basic needs are to be met. In addition to per capita consumption, the size of the population is an important factor in the depletion of natural resources. The average number of children per couple has been slowly falling in most of the Third World, but the total population is growing faster than ever because of the large number of young people entering childbearing years. The Program of Action adopted by the United Nations Population Conference in Cairo in 1994 gave major emphasis to the empowerment of women through access to education, health care, and political and economic equality. The document recognized that birth rates fall when women have more control over their lives. It also called for access to “safe, effective, affordable, and acceptable methods of family planning of their choice.” Moreover, it pointed to the importance of economic development both as a goal in itself and as a way of encouraging population stability. Many church groups were active participants among the nongovernmental organizations at Cairo. The Vatican stood virtually alone in opposing contraception, though it does not have the support of most Roman Catholics (who practice contraception in almost exactly the same proportion as non-Catholics). Conservative Protestants do not object to contraception, but they have been concerned that the U.N. would allow abortions as a means of controlling family size, and on those grounds they persuaded the Reagan and both Bush administrations to withhold support for U.N. population programs. Mainstream Protestant groups have tried to separate the questions of contraception and abortion. They have also insisted that family planning must be included in the wider context of socioeconomic development in the South and disproportionate consumption and pollution by the North. Most Protestant leaders hold that human sexuality serves not only the goal of procreation but also that of expressing love and unity in marriage, so contraception is an acceptable means of responsible family planning. The effects of environmental damage fall very unevenly on different groups in society. The urban poor are exposed to higher levels of air pollution, water pollution, noise, and lead poisoning than citizens with higher incomes; and they have little economic or political power to defend themselves from such risks. Environmental injustice is a product not only of economic differences but also of residential and social inequalities. For example, black children from middle-income families are three times as likely to have lead poisoning as children from white families of identical income. 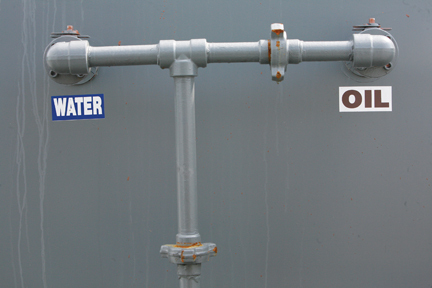 Sixty percent of all African Americans live in communities with toxic waste sites. 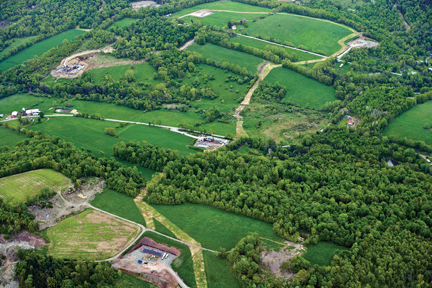 Companies looking for a site for a new waste facility are likely to choose an already polluted area in which they expect to encounter little opposition. There is evidence of discrimination in government decisions as to which sites will be cleaned up first, which has led to legislation seeking to enforce equal environmental protection. Another example of unequal risks is the high exposure to pesticides among migrant farm workers, who are predominantly Hispanic. “The exploitation of nature and of workers are typically products of the same economic and political forces,” writes Barbour. 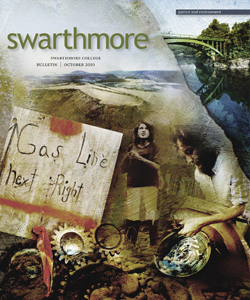 “The marketplace neglects indirect costs, whether borne by nature or by people.” New gas wells (above) dot the rural landscape of northeastern Pennsylvania, where “fracking” of shale deposits has led to polluted streams and wells. Questions of social justice also arise when environmental regulations seem to jeopardize the jobs of workers. Companies have often threatened to close plants if pollution standards were tightened. A few such plants, especially those with heavily polluting or inefficient technologies, have actually closed. But most plants stayed open and the costs of pollution control were passed on to consumers. Overall, technologies for controlling pollution and improving efficiency have added more jobs to the economy than were lost by environmental regulations. While the demands of justice and of environmental preservation do sometimes conflict, they often can be combined. The exploitation of nature and of workers are typically products of the same economic and political forces. In Appalachia, both the landscape and the miners suffered because of the power of coal companies in state legislatures. The marketplace neglects indirect costs, whether borne by nature or by people. Labor unions and environmentalists have often been on opposite sides of local and national issues, but now we see them cooperating on occupational health and safety and in demanding greater accountability by corporations and government bureaucracies. A political strategy dedicated to both justice and the environment will require a broad alliance that includes labor, environmental groups, community organizations, urban and civil rights advocates, the women’s movement—and the churches. The Bible expresses the conviction that God is on the side of the poor and works for the liberation of the oppressed. The conviction goes back to the time of Moses and the liberation of the Hebrew slaves from Egypt. The ancient prophets spoke of God’s judgment on their nation for allowing the rich to exploit the poor. Jesus opened his ministry by quoting Isaiah: “The Spirit of the Lord is upon me, because he has anointed me to preach good news to the poor. He has sent me to proclaim release to the captives . . . to set at liberty those who are oppressed” (Luke 4:18). The biblical tradition is idealistic in its affirmation of creative human potentialities. Through technology we can use our God-given intellectual capacities to promote human flourishing. But the biblical tradition is also realistic about the abuse of power. Individuals tend to seek power and institutions rationalize their own self-interest, whether in corporations, labor unions, governments, or religious institutions. Some people today are optimistic about technology, focusing on its potential benefits. Others are pessimistic, pointing to ways in which technology threatens human dignity and the environment. Between the optimists and the pessimists are the contextualists, who claim that technology is an ambiguous instrument of power whose consequences depend on human choices and social institutions. I suggest that the biblical view of human nature would lead us to side with the contextualists. It would lead us not to oppose technology but to seek to direct it toward the basic needs of all people. Advances in information technology and biotechnology will lead to novel possibilities we can hardly imagine today, but we must have the humility to acknowledge human fallibility and environmental constraints that can be modified but never ignored. Inequalities between nations are far greater than those within nations. Consumption by industrial countries is responsible for a grossly disproportionate share of global pollution and resource use. On average, an American citizen consumes as much of the world’s resources as 40 citizens of India. Clearly the whole world could not possibly live at the level of U.S. affluence. More grain is consumed by livestock in the United States and the former Soviet Union than by the entire human population of the Third World. Our dogs and cats are better fed than most of the children in Africa. Some 250,000 children die each week from malnutrition and the diseases associated with it, while the United States pays farmers to reduce production of grains and dairy products. We import $1 billion in agricultural products each year from Central America, where a quarter of the children are malnourished. In many developing nations, the best land is used for nonfood or luxury food crops for export rather than staple crops for local consumption. Enough food is produced globally to meet everyone’s dietary requirements, but the rich can outbid the poor in the global supermarket. Vast areas of forest in Brazil have been cleared for export timber or to produce beef for American fast-food restaurants. In most of the Third World, land is concentrated in the hands of a few wealthy landowners—except for a few countries in which land reform has been achieved either peacefully or by revolutionary governments. Third World countries make larger payments in interest on debts than they receive in new loans and investments, resulting in a net flow of $50 billion each year from South to North, paid for largely by the export of crops, timber, and natural resources. Disparities between rich and poor countries are perpetuated by new technologies that require extensive expertise, capital, and infrastructure. Computers and communication systems are sources of social power, and access to them varies greatly both within nations and between nations (the so-called digital divide). Biomedical research is directed mainly to the diseases of affluent societies, while tropical diseases affecting far larger populations are neglected. 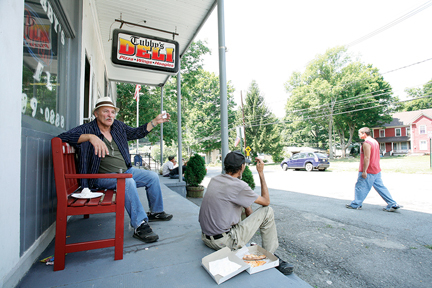 Local residents hang out on the porch of Tubby’s Deli in Hop Bottom, Pa., where drilling for natural gas in the Marcellus Shale formation has created both jobs and controversy. The flow of capital, resources, and products across national boundaries has been growing at unprecedented rates, facilitated by new communication technologies, such as satellites and the Internet, which in turn make possible a more rapid international diffusion of other technologies. Globalization opens far-reaching new opportunities, but it also raises significant ethical issues because conflicting values are at stake. Protests at recent meetings of the World Trade Organization and the World Bank have polarized the debate. Let me ask how the Christian understanding of human nature might illuminate these issues, with the caveat that specific policy choices require difficult judgments about economic and political questions on which thoughtful people may disagree. The International Monetary Fund (IMF) has made its loans to developing nations contingent on the promotion of exports above all other goals. This policy has encouraged rapid deforestation, mineral extraction, and the growth of crops for export without regard for local needs or environmental consequences. The governments receiving loans have also been under pressure to reduce their budgets for environmental agencies and health services. To be sure, the World Bank has included sustainability and environmental preservation among its development goals, but only a small fraction of its structural adjustment loans have included environmental impact assessments. Both the IMF and the World Bank should be required to give more attention to environmental consequences and to work more closely with the U.N. Environmental Program. I believe that we should try to reform and improve these agencies, rather than to abolish them as some critics suggest. Some economists have argued that wages must remain low in developing nations in order to attract foreign investment as a necessary first step toward economic growth. They say that these nations must accept pain in the short run for the sake of gain in the long run. But this raises ethical issues if foreign investors are making substantial profits on their overseas investments. It also raises practical questions about political stability and democratic institutions when Third World people feel that they have no control over their own destiny. Even if wages are somewhat higher than they would be without foreign investments, they are likely to remain low if workers are denied the right to form unions. Under pressure from lending agencies, public funding for education has been reduced, which will slow acquisition of the skills needed for better-paying jobs. 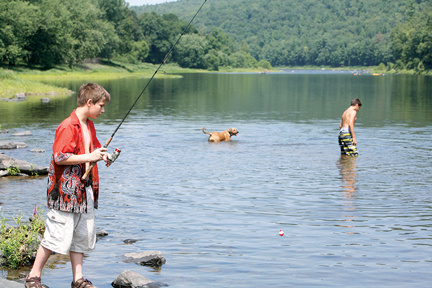 The upper Delaware River near Lackawaxen, Pa., is a favorite fishing spot, but some say that the river is threatened by the drive to squeeze the last drops of fossil fuel from the Earth. Within each nation we have recognized that market prices seldom include the indirect social and environmental costs of production, so we have introduced legislation through political processes to supplement unregulated market forces. But on the global scene there are no comparable democratic processes. Moreover, globalization has increased the power of economic institutions and decreased the power of political ones. Transnational corporations and banks have more economic power than most national governments. The World Trade Organization operates in secret, behind closed doors, and it can overrule national environmental and safety standards by claiming that they restrict trade. The inclusion of a wider spectrum of participants in WTO deliberations would make it more representative and more accountable. It is easy to demonize transnational corporations and blame them for all the adverse effects of globalization. These corporations can indeed contribute to rising standards of living and the spread of innovative technologies. Some companies have taken steps to improve working conditions overseas. The biblical view of human nature would lead us to encourage such creative initiatives, but also to recognize that voluntary measures are not enough in a highly competitive world. In the polarized confrontations with protesters at recent international meetings, both sides claimed they were defending the public interest and that the other side was defending “special interests.” Both sides oversimplified complex issues and caricatured their opposition. Religious communities are not immune to biases, but they do have diverse memberships and at their best they are committed to a broad range of values. They have the potential to present a balanced view of the public good if they inform themselves about the consequences of alternative policies. At the outset new technologies are often expensive and available only to the affluent. But with mass production and technological improvements, the costs fall and they become more widely available. This occurs through market forces alone, but public policies can promote the wider diffusion of low-cost technologies. The Internet was first developed for military and governmental purposes, and then it was expanded for the benefit of corporations. But more recently it has been used to empower individuals and groups, including dissidents in China and protest movements around the world. In developing nations, urban elites were the first beneficiaries of the Internet, but satellites and cheap cell phones open new possibilities for access even in rural areas. For example, a program of small loans for cell phones to 5,000 villages in Bangladesh is offering new personal and commercial opportunities in one of the world’s most impoverished areas. The global market treats people primarily as consumers, and the global media are a homogenizing influence undermining local cultures. The civil society includes a variety of voluntary organizations larger than the family and smaller than the nation or corporation. They can give a voice to those who feel powerless. We must do all we can to strengthen community relationships. Churches, synagogues, mosques, and temples can provide stability in a time of rapid change. They can provide a supportive community to individuals who feel alienated from the impersonal and distant institutions affecting their lives, and they can motivate people to act to further the values they hold. A religious worldview can provide a standpoint for critical appraisal of the cultural values accompanying globalization. The photographs of the earth taken by astronauts on the moon showed us our amazing planet as a whole for the first time. Science can help us to understand our planet. Technology can help us to use its resources more efficiently. Religion can help us to share both resources and technologies more equitably. There is enough for every need but not for every greed. Our task in the new millennium is to move toward a more just and sustainable society in which human beings are treated humanely and the creatures of planet Earth are treated with respect. Ian Barbour is Winifred and Atherton Bean Professor Emeritus of Science, Technology, and Society at Carleton College. His seminal 1966 book Issues in Science and Religion is credited with creating a new dialogue about theology, nature, and science in the second half of the 20th century. In 1999, he was awarded the Templeton Prize for Progress in Religion. This essay is from the final chapter of his 2002 book Nature, Human Nature, and God (Augsburg Fortress, Minneapolis, Minn.). It is reprinted with permission of the publisher and the author.